Track Athletes Head to New England’s! 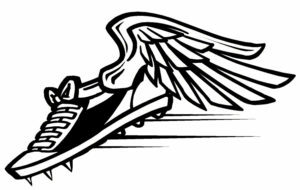 As of Monday, February 20th, it has been confirmed that three of the Warde Indoor Track and Field athletes will be attending the New England meet in Boston. Eleven members of the team competed at the State Open meet in a variety of events which was held on that day. At the conclusion of the meet Will Brisman, Gabi Galletta, and Max Lee were the three Warde athletes to finish at a high enough place to qualify for New Englands. Brisman and Galletta both competed in the 3200 meter run. Brisman placed first in the event and Galletta placed third, but both broke the school record for that event. Lee competed in high jump and placed 4th after tying his own school record of 6 ft. There were stellar performances by the other athletes who went to Hillhouse High School to compete in the State Open meet in events such as the men’s 4×200 meter relay and the women’s 4×800 meter relay. All members of the track team have worked hard this season towards the goal of competing at States and the State Open. However, it takes an immense amount of dedication and skill to continue on through the season and participate in New England’s. The four coaches of the team, specifically distance coach Mr. Foster and jumping coach Mrs. B., are beyond proud of these athletes performances as well as the performances of the whole team. They have helped train Will, Gabi, and Max to be as successful as they are and hope for the best for them at New Englands. After competing for the entire season and performing miraculously at FCIACS, States, and State Open, these three Warde Track and Field individuals have earned their spot in the New England meet. The track team, their classmates, and the Warde Focus wish them good luck as they make their way to Boston for this fantastic opportunity!